Innovative, flexible, high-performance solutions for the manufacture of caps, preforms and containers; powerful presses capable of producing large ‘one-step’ articles; presses designed to combine the very best of hydraulic and full-electric technology, highly competitive and suitable for manufacturing trims. At K 2013, the world-class fair dedicated to the plastics industry, set to take place in Düsseldorf from 16th to 23rd October, the Sacmi Group will be displaying all this and more with complete top-of-the-range turnkey solutions for the European plastics industry. 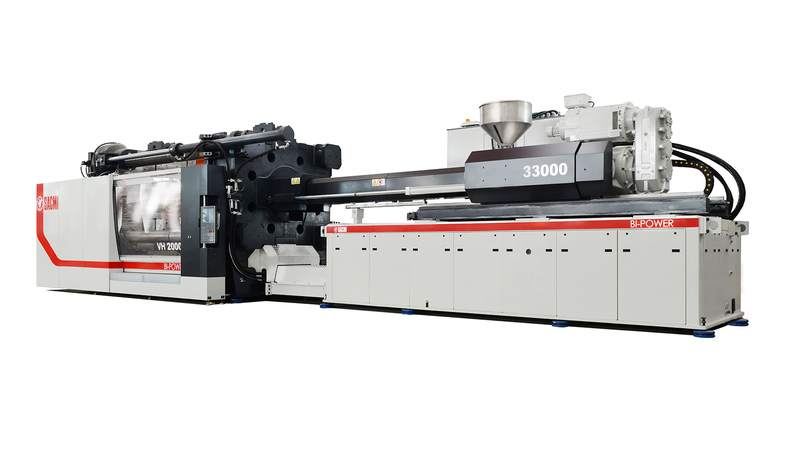 At the Sacmi stand (700m2, hall 13a, stand 63) a pivotal role will be played by the IPS 220 B, a new-concept injection preform press that stems from Sacmi’s decades of experience in the industry and the innovations developed on the stretch-blowing front. The world’s only company to excel in both ‘alternative’ technologies (injection and compression), Sacmi launched this innovative press in 2012. An innovative control system allowing real-time control of process parameters means exceptional size changeover flexibility and outstanding user-friendliness. Moreover, this press provides the very best cycle time and specific consumption performance the industry can offer thanks to innovative technical solutions such as the kinetic energy recovery system (KERS). 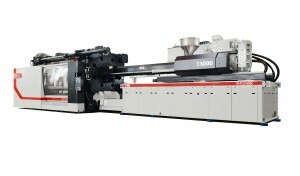 Easily incorporated on a line via the innovative PVS 2B system – developed by the Inspection and Quality Control Division and capable of testing up to 1200 preforms per hour – the IPS press stands out on account of extremely short cycle times and excellent output flexibility, allowing the manufacture of preforms of up to 190 mm, much larger than those attainable using standard production methods. With regard to plastic caps – a sector in which Sacmi leads the world with more than 1200 compression machines installed all over the globe – the K stand will exhibit an upgraded version of the CCM 48 S, optimised for the innovative COOL+ mould. The version on show at the fair will, in fact, feature this new mould and produce 2000 caps per minute: the cycle time, a mere 1.5 seconds, is an industry first. 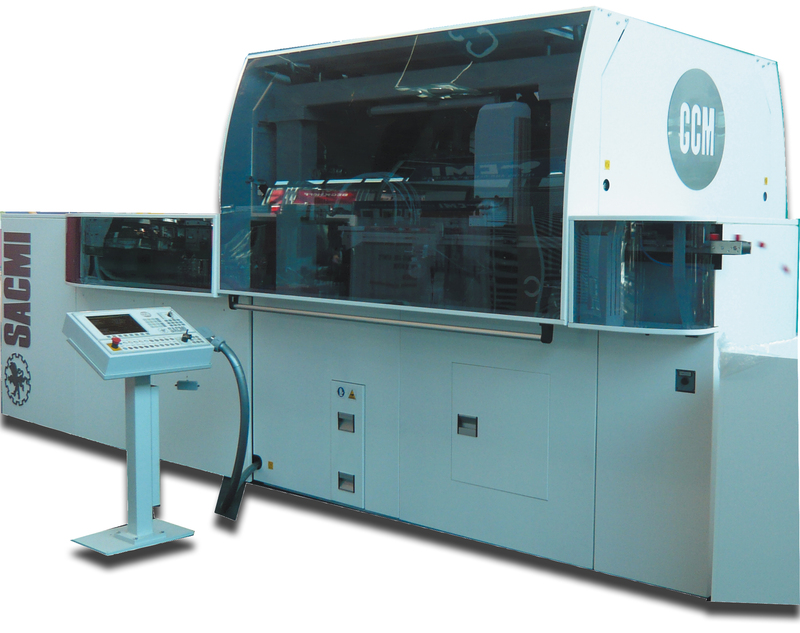 Moreover, as of this year the CCM can be fully integrated with the bottling line via a highly automated dynamic buffer (CPB LINK); here too, further advantages stem from integration with the Sacmi CVS quality control system. And it is here, on the vision systems and quality control front – with over 4500 Sacmi-made systems installed worldwide – that the Group is now launching the “total inspection” concept with the CHS Lean solution. In addition to a marked increase in inspection rates – up to 150,000 caps per hour – CHS Lean also allows all-round ‘360°’ cap control, from the side wall to the tamper band slit profile. Sacmi’s winning strengths are maximized investment, heightened productivity, flexibility, energy savings and intrinsic product quality. So the company’s decision to display the CBF at the fair is hardly surprising! This new container manufacturing machine, first marketed in 2012, continues to achieve ever-greater success on world markets. One of the many distinctive characteristics of the CBF – seen as the most efficient solution by several global players, including top names in the pharmaceutical industry – is that of having transferred all the advantages of compression technology, with which Sacmi has led the global cap production industry, to an entirely new sector, that of producing plastic containers made of all today’s commercially available resins (HDPE, PS, PET and PP). 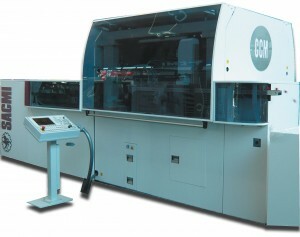 The advantages of this solution include continuous extrusion of the plastic while, inside the mould, the preform is thermo-regulated to a temperature that lets it be stretch-blown to form the container; the latter is fed in an orderly manner to the line while the smoothly integrated Sacmi BVS system certifies quality. In short, this technology offers higher work rates, reduces the unit cost of the product and provides major advantages in terms of flexibility thanks to a design that allows the CBF to operate as a ‘sole technological platform’ using multiple resins and formats. Lastly, the 800m2 Negri Bossi stand (hall 15b, stand 22), fully dedicated to injection, will feature no less than 8 integrated production centres, exhibiting machines with 2-platen and toggle-clamp technology, all equipped with Smart Energy devices to contain costs.To start things off there is the new Bi-Power VH 1000, the smallest of the 2-platen range which has, over the years, allowed Sacmi to become a key partner to the international automotive, environmental, large-scale packaging and construction industries.